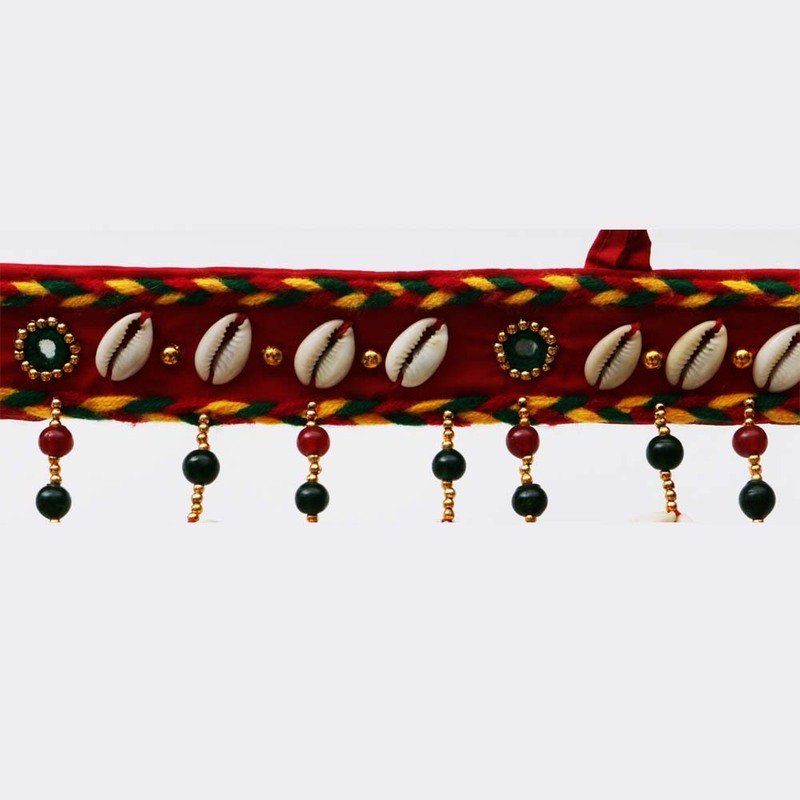 This stunning bandhanwar has a wide strap studded with beautiful seashells. 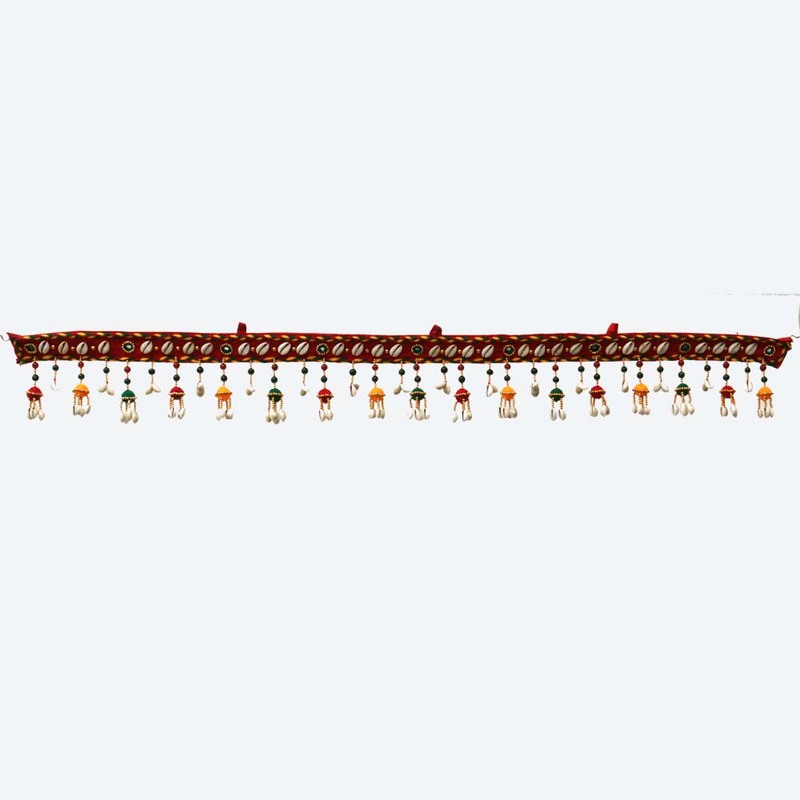 Most bhandhanwars have a more traditional design with the strap being thiner, and less Read More..hangings, however, this being a contemporary bandhanwar, it boasts more hangings. Use this to beautify any part of the house you deem needs a little lifting up. Show Less..